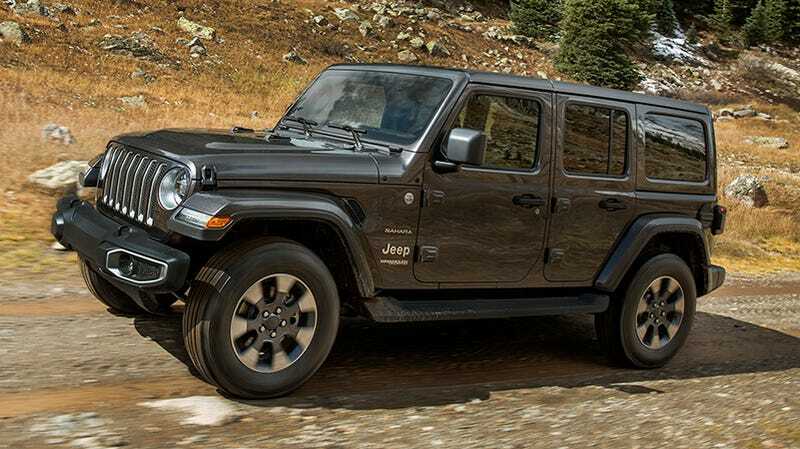 At the official unveiling of the 2018 Jeep Wrangler today Jeep CEO Michael Manley confirmed that the 2020 model, presumably in the new-for-2018 “JL” bodystyle, would be available as a hybrid electric vehicle. Talk of a hybrid Wrangler has been in the rumor mill for some time, but the last we heard it wasn’t supposed to bow until 2022. Of course, Manley and everyone else representing Jeep at the LA Auto Show this week have thus far declined to elaborate or provide any further comment on the PHEV vehicle at all, but now we know for sure that it is indeed in the pipeline. I don’t think we’re in for two more years of Wrangler rumors and teasers (god have mercy on us), but I do suspect more information on the first earnestly electrified Wrangler that’s not an RC car will come to light soon. In the nearer-term, Jeep is calling the 2.0-liter turbocharged four-cylinder engine option in the 2018 Wrangler a “mild hybrid” because it’s supplemented with what’s known as a motor generator unit or a belt start generator. It provides a little bit of boost or regeneration depending on whether the vehicle’s speeding up or slowing down, and other factors like battery state of charge. This type of system has been used in plenty of cars before, but a full PHEV Wrangler would be totally uncharted territory. Anything that would help that bricky 4x4 save fuel would be sweet, and the instant torque could be advantageous off-road. I guess I just hope Jeep knows how to make its wiring waterproof.